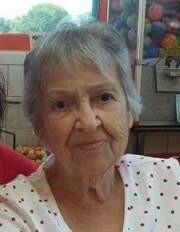 Lois Jeanette Self, 83, of Shepherd, Texas passed away on Tuesday, December 4, 2018. She was born on Friday, July 26, 1935, in Clearfield, Pennsylvania, to John Lanager and Martha (Ramsey) Lanager, both of whom have preceded her in death. Lois was also preceded in death by her spouse of 59 years, Dalton Self; brothers, Ted and Leonard Lanager; sisters, Betty Ogden, Martysills, Rachel Mattern, Lil Knepp, Nancy Lanager, Donna Jean Demarco, Ede Timko; grandson, Joey Dean; son-in-law, Michael Bryan. Left to cherish her memory is her loving daughter, Betty Bryan; granddaughter, Jeanette Rae Self; great-grandchildren, Cody Self, Meghan Self, Kaitlyn Self, Travis Dean; great-great grandson, Memphis Self; along with numerous other loving family and treasured friends. Visitation for Lois will be held at Neal Funeral Home on Friday, December 7, 2018, from 6:00 p.m. to 9:00 p.m. Funeral Services for Lois will be held at Neal Funeral Home on Saturday, December 8, 2018, at Neal Funeral Home at 10:00 a.m. Interment for Lois will immediately follow at Farley Chapel Cemetery. Reverend Gerald and Reverend Littlefield officiating.